CINCINNATI -- This is just a drill. 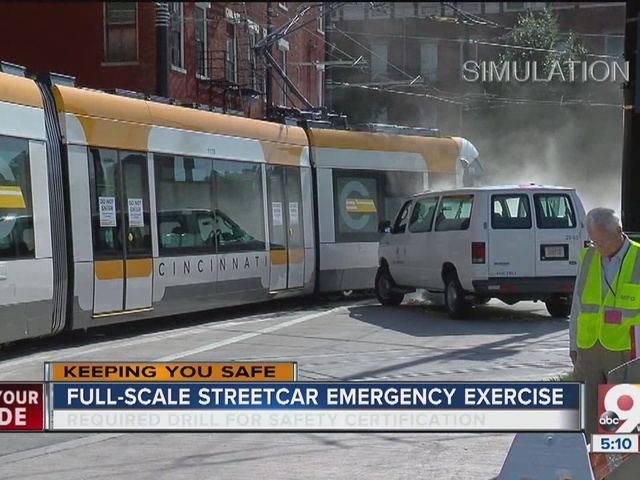 From 10 a.m. to 2 p.m. Thursday, the Cincinnati Streetcar staged a full-scale emergency exercise on Henry Street. The training exercise scenario was a service-related emergency that includes local police, fire and other emergency response organizations to test procedures and be better prepared in case of emergency. 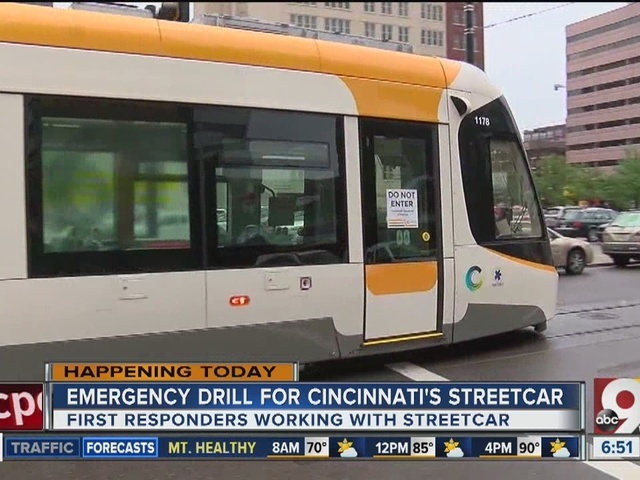 The exercise was held outside the Cincinnati Streetcar Maintenance and Operating Facility on Henry Street in Over-the-Rhine, next to Rhinegeist Brewery. Streetcar officials warned the public that this is only an exercise and not to be alarmed by sirens and other activities around the exercise location. They say the exercise was part of the safety certification for the Cincinnati Streetcar system, which opens for passenger service Sept. 9.